earthy adornment now available at ShopEco! This wrap bracelet is made on strong memory wire which holds its shape. 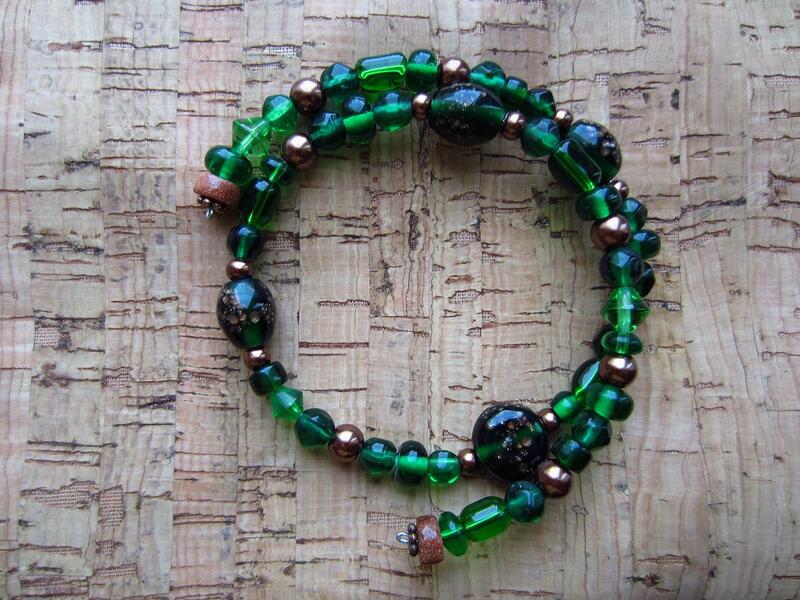 It features emerald green glass beads of different shapes and sizes with copper glass accent beads. This bracelet measures approximately 14 inches from end to end and currently wraps 1 1/2 times around, measuring just under 3 inches across. It’s sizing is very flexible because it can be squeezed to fit smaller and also naturally accommodates larger… in fact, it could even be worn as a choker necklace!